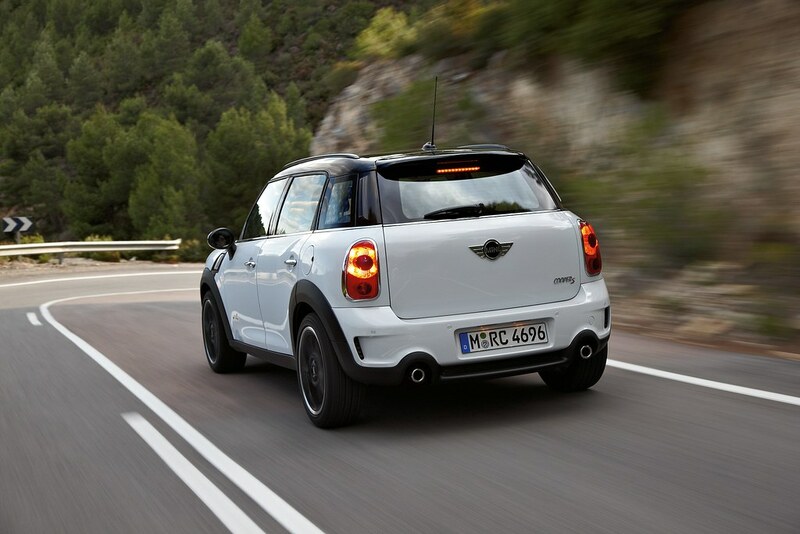 Earlier today, MINI released pictures and information for the upcoming new Mini Cooper, the Countryman. 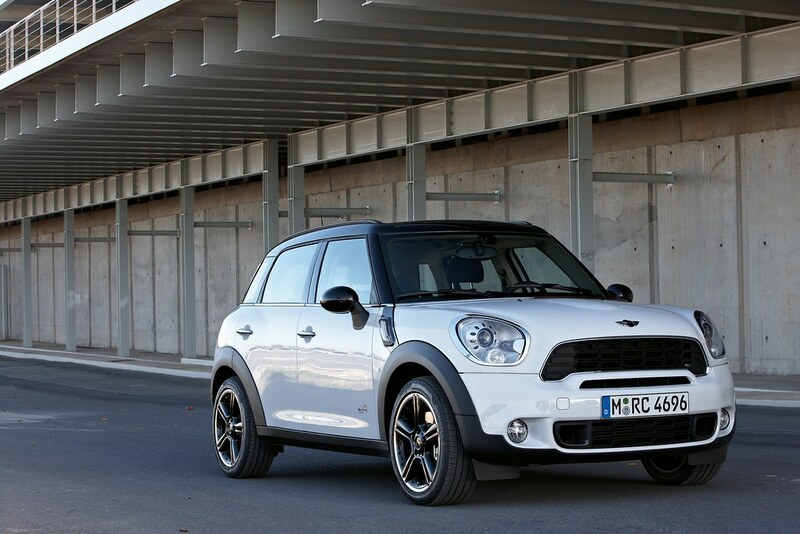 The 3rd model from the company, which includes the Mini Cooper and the Mini Clubman. This one is a little more rugged looking, and is an addition to the 'Crossover' market, which falls somewhere between the sedan and smaller SUVs. On first glance, I rather like it. This addition looks to make a lot of sense for MINI and BMW. The small hatchback market is a somewhat limited one, and this, along with the Clubman, helps to open up a couple additional markets. The vehicle looks to be a bit bigger, more practical, with more space. I love my own Mini Cooper, but I also realize that it's pretty well suited for what I use it for - I usually only drive myself around, and I don't need a ton of space, usually. I've found, over the past year or two, that most cars fit a certain lifestyle or use - some are better at things than others. I might ridicule the SMART Car, but honestly, while living in London, it would have been the perfect car for what I did - small, easy to park and safe, because nobody is driving more than 30 miles per hour in the city. Contrast that with the highways here, it's very out of place. Mini has quite a lot going for it with this, and I suspect that it will be a really good car for them. The brand as a whole has a sort of quirk factor to it, with the Mini, going for the younger, hipper audience, and as that group grows up a bit, so to, the Countryman seems to have done the same thing. I like how it came out - it's a good looking car, more so than the Clubman, which I really dislike. The company did a really good job with updating the image of the car by making it a bit larger, but keeping the overall shape and key features. Where the Mini Clubman looks stretched, this version looks well proportioned, much more in line with the new MINI. What I'm really impressed with is MINI's brand, with both how they've been able to market it, and expand it. The Cooper is an iconic car, and BMW did well to update it with the current model from the old one. They have their quirks, to be sure, but it's a solid, fairly reliable car. In the 30,000 miles that I've had it, it's only had to go in twice for major repairs: the transmission and more recently, a wheel bearing. The other things that have cropped up: replacing windshield wipers, oil changes, brakes, tires, etc, have been pretty expected issues, none that have really impacted how the car has driven. It's pretty reliable, but beyond my own experience with the car, the company is working to expand their market and really develop what the car will look like, and along with that, change their respective audience, and thus expand their brand to new people. It seems to be working - Mini has been around for almost a decade now, and it doesn't look like it's going anywhere. As a MINI driver, I'm sold. I'm not necessarily ready to go out and buy one right when it comes out, but I think that it's something that I would consider if presented with the opportunity. I love my own car - it's a delight to drive, and I'm not planning on getting rid of it anytime soon, but someday, I might need something that's a little more practical. I'm very happy that Mini will likely remain an option.